ModelRisk offers a comprehensive range of graphical representations of your risk analysis results via the Results Viewer. Tamara project risk analysis software offers a similar range of reports. 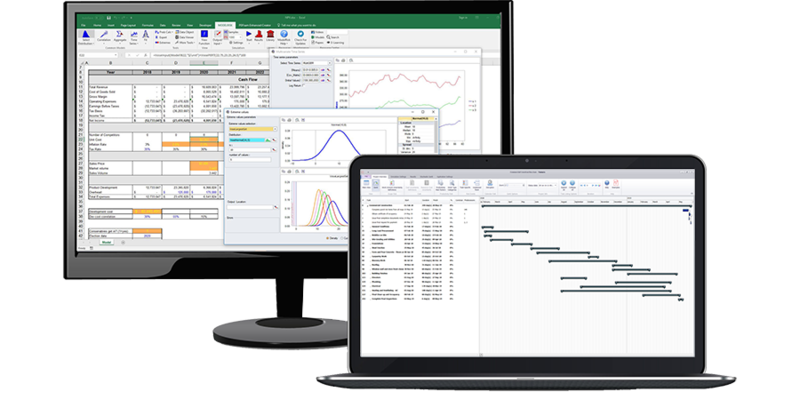 Monte Carlo simulation graphical outputs have the advantage over statistical outputs of providing a quick, intuitive way to understand the model's results without needing a great deal of statistical knowledge. Click one of the images below to go directly to a detailed explanation on that type of graph.